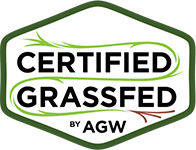 John and Kris Gosney raise Certified Animal Welfare Approved by A Greener World (AGW) beef cattle outdoors on pasture at John’s Farm in Fairview, Oklahoma. Both John and Kris inherited Oklahoma centennial farms from their families, who first came to the state during the 1893 Oklahoma Land Rush. They like to say that their “roots go deep into the soil of Oklahoma,” where they raise between 250 and 300 head of Certified Animal Welfare Approved by AGW Angus cross cattle on 3,000 acres of pasture. Although previous generations of their families had raised cow/calf pairs on grass pasture, John and Kris began farming by raising stocker cattle, and would purchase weaned calves through a sales ring, graze them on wheat pasture, before selling them to feedlot settings for finishing. That changed in 1996 when John was asked to farm some land belonging to a neighbor—the only catch being that it had to be managed organically. In the three years that followed, John and Kris were convinced that sustainable farming was what they were meant to do and they transitioned every acre they operated to sustainable methods, focusing on the welfare of their animals. “John knows every calf from beginning to end,” says Kris. “When cattle are born on the farm, they’re like a member of our farm family.” Putting animal welfare and pasture-based management at the center of their operation allows Kris and John to carefully monitor livestock health and wellbeing, resulting in delicious and healthy beef. In addition to the quality of the beef, John and Kris have observed that animal welfare is an important consideration in their customers’ purchasing decisions. 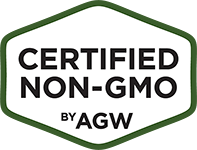 They believe that having AGW certification gives their customers the assurances they are seeking: the Certified Animal Welfare Approved by AGW food label lets consumers know the cattle at John’s Farm are raised in accordance with the highest animal welfare standards in the U.S., using sustainable agriculture methods on an independent farm. John and Kris run the farm with help from their two daughters and their families, who all visit the farm frequently and help out at busy times. John and Kris aim to instill in their grandchildren the importance and value of their Oklahoma farm heritage. Their goal is to leave their children a farm that is in even better condition than when they began farming and raising livestock. 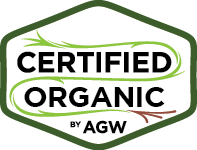 Certified Animal Welfare Approved by AGW pasture-raised beef sold under the Cattle Tracks Organic Beef brand name from John’s Farm is available in a wide variety of familiar and popular cuts, as well as by the quarter, half or whole beef at the OSU/OKC Farmer’s Market, Green Acres Market in OKC, Hometown Bulk Foods in Fairview, and by delivery to Tulsa, Stillwater, Enid, Guthrie, Edmond, OKC and Moore/Norman. Beef is also available directly from the farm. 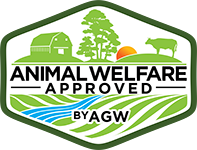 In addition to their Certified Animal Welfare Approved by AGW beef, John’s Farm also produces a host of other products available under the Fairview’s Best and Gloss Mountain brands. For more information, visit JohnsFarm.com and contact Kris Gosney at kris@johnsfarm.com and 580-794-7767. You can also follow the farm on Facebook and Instagram.